Alan Berman, an architect of the practice Berman Guedes Stretton, will give a lecture at The Cooper Union on Jim Stirling, one of the great post-war modernist architects. Stirling’s unique approach to architecture was heralded by critics, including Paul Goldberger who wrote, “Neither James Stirling nor his buildings were ever precisely what you expected, and that was forever his glory” (The New York Times, 7/19/92). 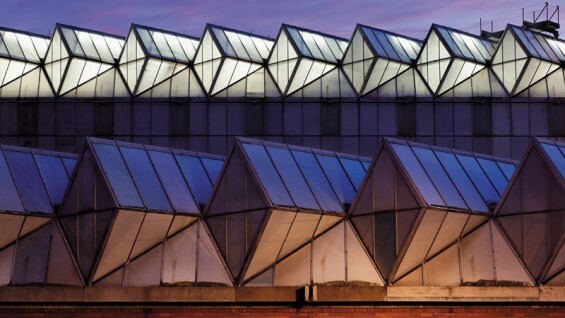 The talk by Berman, which is sponsored by the Cooper Union Institute for Sustainable Design, will discuss the exceptional nature of Stirling’s buildings, where he expanded form making while remaining within the heroic pre-war modernist tradition. While Stirling’s buildings are widely viewed as legendary, they were often surrounded by controversy and described as challenging structures or having post-construction difficulties. 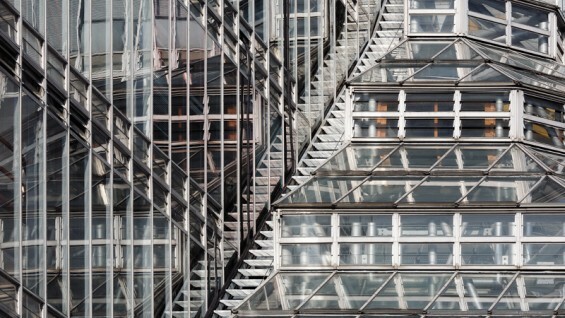 Berman will explore both sides of his work, from the outstanding architecture representative of Stirling’s work to the criticisms that he faced. After graduating from Cambridge and University College London, Alan joined the pioneering practice of Maguire & Murray Architects. He set up his own practice in London in 1984 with Pedro Guedes and later moved the practice to Oxford, where in 1996 he teamed up with Roger Stretton to form Berman Guedes Stretton. Alan is responsible for both multi-million pound projects and smaller schemes. He is a strategic thinker and puts a great deal of thought into identifying client needs and analysing complex briefs. A focus of Alan’s work is on realistic building strategies to ensure that economy and practicality are not sacrificed to imaginative design. His knowledge of architectural history has gained him the respect of the Oxford historic societies as well as English Heritage. Many of his projects for traditional Oxford colleges have been constructed within sensitive and demanding environments. Alan is actively concerned with sustainability issues, including energy conservation, environmental impact and waste management. He has lectured, part-time, at Oxford Brookes University School of Architecture and the University of East London. He is the author of several books on design and sustainability and a board member of Oxford Inspires. From 1999 to 2006 Alan was chair of Oxford Artweeks.